Attempts to find medical cures often fail because of defective medical devices. Many different types of failed medical devices have led to lawsuits. It can be devastating to suffer as a direct result of an expected cure or safe solution. Jorge P. Gutierrez Jr. is a Board Certified Civil Trial Lawyer who is qualified to provide skillful legal representation in cases where people are harmed by medical devices. Transvaginal mesh is used to treat such conditions as stress urinary incontinence (SUI) and pelvic organ prolapse (POP). The product is made by several manufacturers, including Ethicon, Inc. aka Johnson & Johnson; American Medical Systems; Boston Scientific; C.R. Bard; Inc.; and Coloplast Corp. Inferior Vena Cava (IVC) filters are cone-shaped devices that have been widely used and yet found to be defective. The devices are implanted below the kidneys in the inferior vena cava for the purpose of catching blood clots that dislodge from a leg vein, to prevent the blood clots from traveling to the lungs or heart. Various hip replacement devices have proven to be defective, including devices manufactured by DePuy Orthopedics, Biomet Inc., Zimmer Holdings, and Stryker Orthopedics. Class 1 – Defective or dangerous products that could cause a person serious health issues or death. Class 2 – Defective or dangerous products that may cause a temporary health problem. Class 3 – Products that are defective but unlikely to cause adverse health reactions but that are still violations of FDA rules. Anyone who has already had a medical device implanted and then learns that it has been recalled has to make a decision regarding whether to risk removal. Whichever choice is made could lead to worsening of symptoms, in addition to other potential complications. 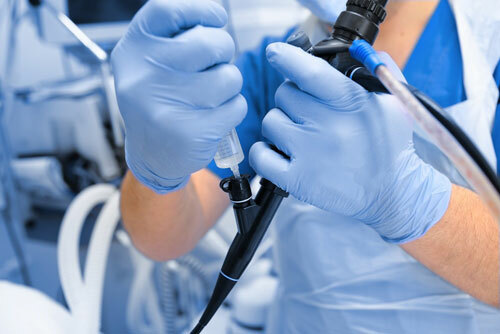 Contact Jorge P. Gutierrez Jr., Board Certified Civil Trial Lawyer at The Gutierrez Firm today for legal advice and representation in a defective medical device case.